What are the nutritional benefits of avocado oil? Is it healthier than olive oil? The more I read about oils, the more sense I see in Joel Fuhrman's insistence that fats are best eaten as whole foods, rather than as extracted oils. Extract the oil from avocados and you lose many of the benefits of the whole fruit. So, instead of fried tortilla chips, enjoy soft, warm, fresh tortillas with guacamole and salsa. Having said that, occasionally, for a memorably delicious treat, fry those tortillas in freshly-rendered pork fat, then dip in salsa. When you say there are no safety concerns about avocados, could you please address this study: https://www.ncbi.nlm.nih.gov/pubmed?term=20859823. It seems they haven't seen this kind of genotoxicity when this same experimental procedure was done with olive oil. 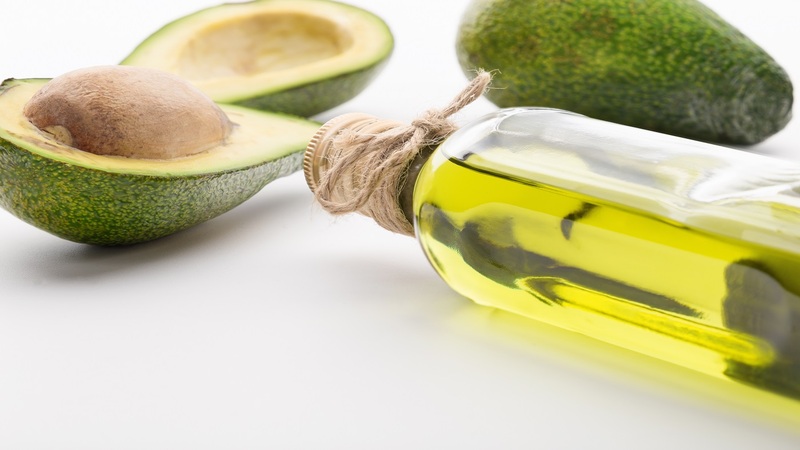 There are also warnings for women with certain types of breast cancers not to consume avocados--a warning I would think should apply to the use of avocado oil. Also, it seems that most of the pro-avocado oil studies have been funded by the avocado industry. I love using avocados, but it seems we should be taking these other factors into account. Hi Paul - We've added information about this study to the Safety section in the Answer above. Some websites suggest avoiding foods high in folate (such as avocado fruit) because a study found an association between high blood levels of folate and an increased risk of breast cancer in women with BRCA1 and BRCA2 gene mutations (https://www.ncbi.nlm.nih.gov/pubmed?term=20859823); however, avocado oil does not appear to contain folate (https://ndb.nal.usda.gov/ndb/foods/show/04581?fgcd=&manu=&format=&count=&max=25&offset=&sort=default∨der=asc&qlookup=avocado+oil&ds=&qt=&qp=&qa=&qn=&q=&ing=). We are told not to eat corn in any form, unless it's organic. It's either GMO or sprayed with pesticides. Could you test "organic blue corn chips" for pesticides, even though it says it is organic? They are becoming a very popular substitute for potato chips or corn chips. All my family thanks you for your efforts. Canola oil I've heard has some "toxic" qualities. It isn't recommended for daily use for instance by Dr. A. Weil in one of his books. But it's in so many chips and things. I make my own chips just by pan searing bread and tortillas in a bit of water on a hot pan. Thus no worry about added oils. I cut the bread slices into long strips first and toss them around until browned, the tortillas I heat first and then slice or roll them up to dip. Dips are really popular in my house for carrots and apple slices too. We always have two or three in house. All beans when mashed and with some water or juice or tea added can be stirred into a "dip" for all seasons, or a sauce too over rice and grains. Hummus is super easy to make at home. It requires few ingredients, just throw it in food processor and done. The taste is superior to store bought. If you make it at home you can use high quality olive oil. Hi Frances - We've added information about how extra virgin avocado oil is produced to the Cooking and storage section in the Answer above. Corn is a long time staple in Southern Hemisphere countries, both Africa and So. America. It's also reportedly when fresh one of the lowest pesticide vegetables from what I've seen. Frito Lay corn chips if I remember correctly are non-GMO aren't they? I think Frito went non-GMO. Corn is a good food in the winter as it has a "peppy" quality being yellow and storing some good sunshine for our use. Last night I had a quicky meal - 2 pan seared heated corn and lime tortillas, then spread with guacamole and lima beans (cooked with brussell sprout shreds) rolled up like small enchiladas. The side was good too - brownie chunks and berries - with cinnamon topping. In the South of the US corn has always been popular in breads and also just mixed with beans. Possibly you could do this with cornmeal as well - Maybe test for glyphosate? I use avocado oil when the oil will be heated. I think it is safer when cooking at high temperatures. I prefer olive oil for salads and other cold foods. Is this information correct? Hi Mindi - We've added information about cooking with avocado oil versus olive oil in the Answer above. This CL Answer initially posted on 12/5/2018. Last updated 12/11/2018.